The pump is the heart of the spa. Spa pumps run frequently throughout the day to circulate hot water within your spa to help maintain temperature and help filter the spa water. The spa pump is what circulates hot water through your spa and works in combination of a pump and a motor. 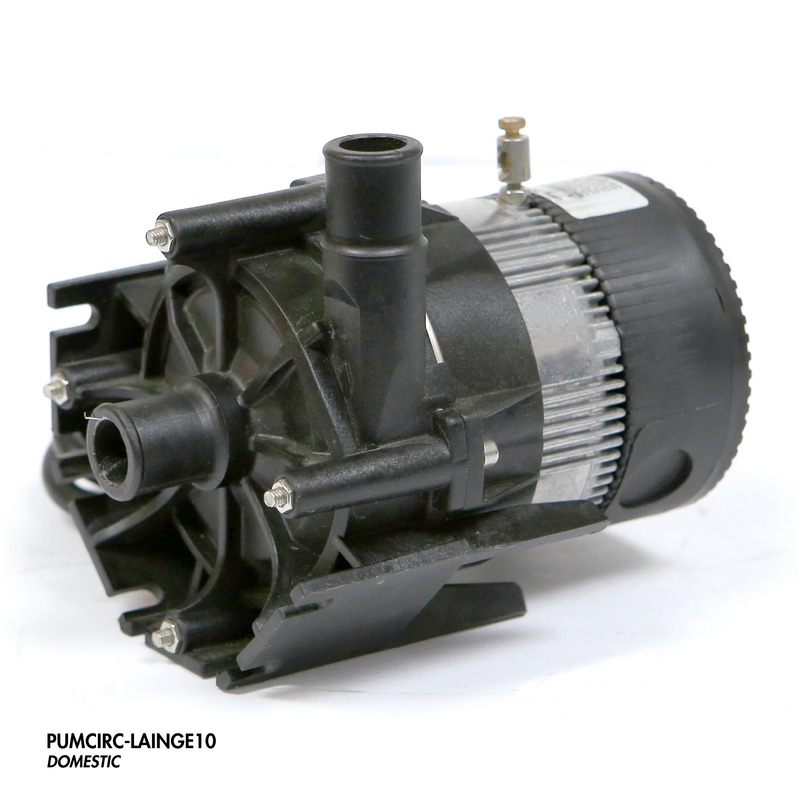 Most spa pumps last for several years before requiring attention, however it is recommended to replace an entire spa pump when it begins to malfunction. Our spa pumps last years longer than competitor brands. 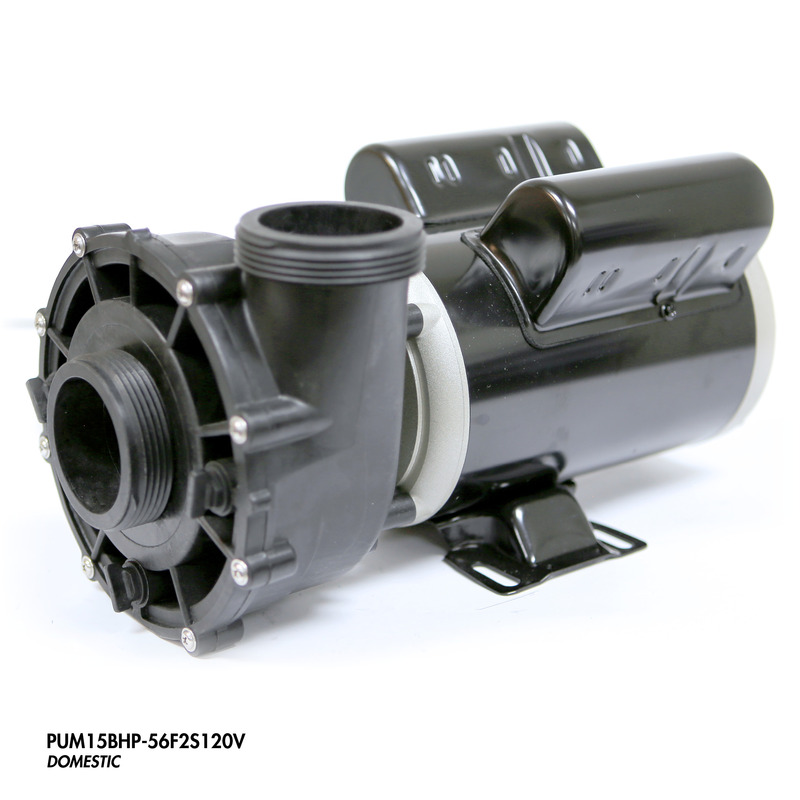 Each switchless pump has a 50% thicker and longer shaft than standard pumps for increased durability and output. 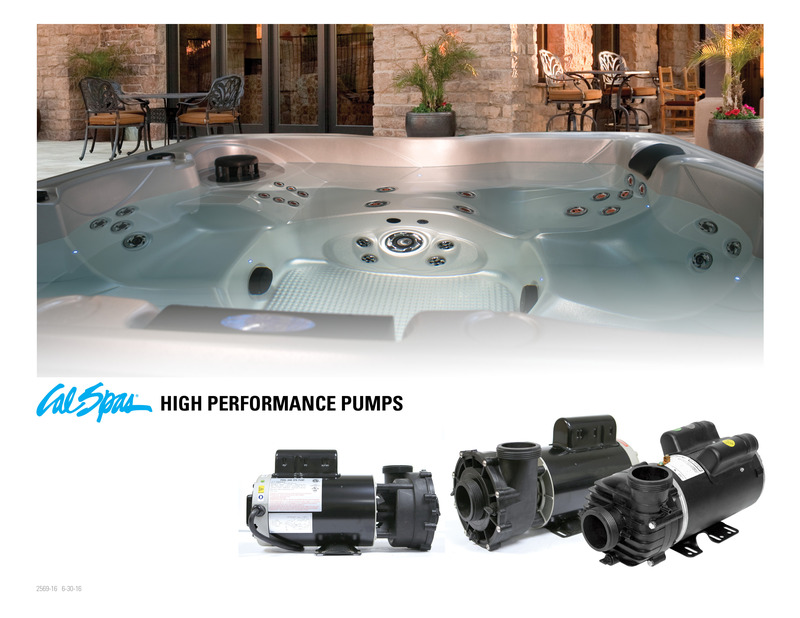 Shop for the perfect spa pump for your hot tub that will not only deliver an intense hydromassage, but will keep your spa water circulating for a clean and warm water spa experience. 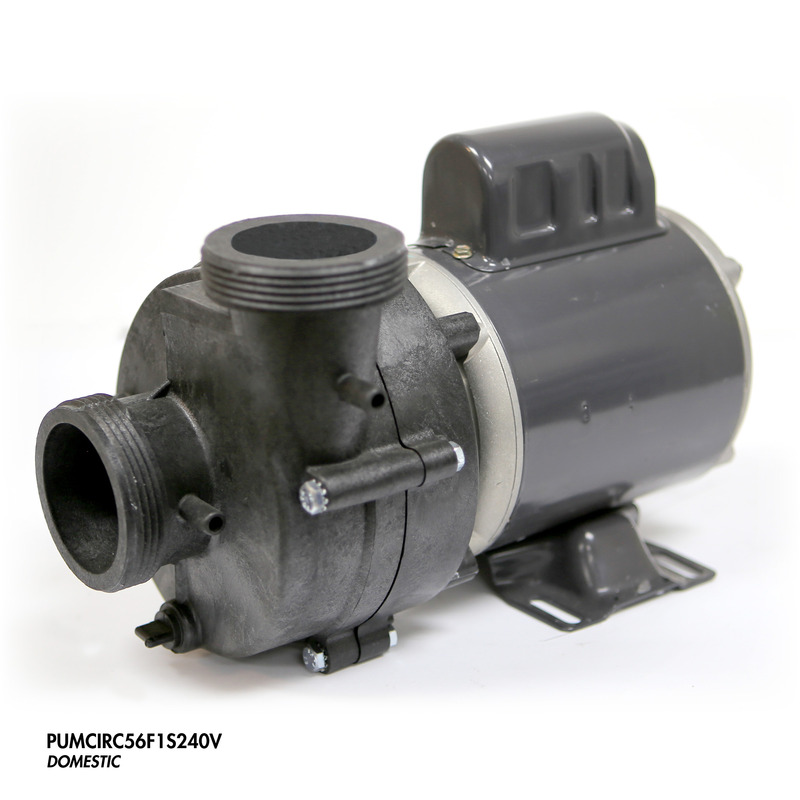 The entire size of your spa pump is referred to as the frame, which is important to know when ordering a replacement pump. Spa main pumps will have a size of either 48 frame, which are approx. 5.5” diameter, or 56 frame, which are approx. 6.5” diameter. 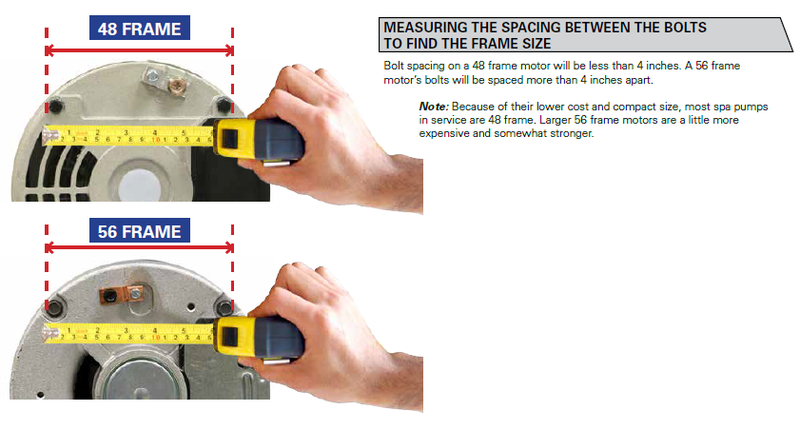 Some motors will have the frame size on the unit. Plumbing size is very important, but a lot of people get it wrong and end up ordering the wrong pump. 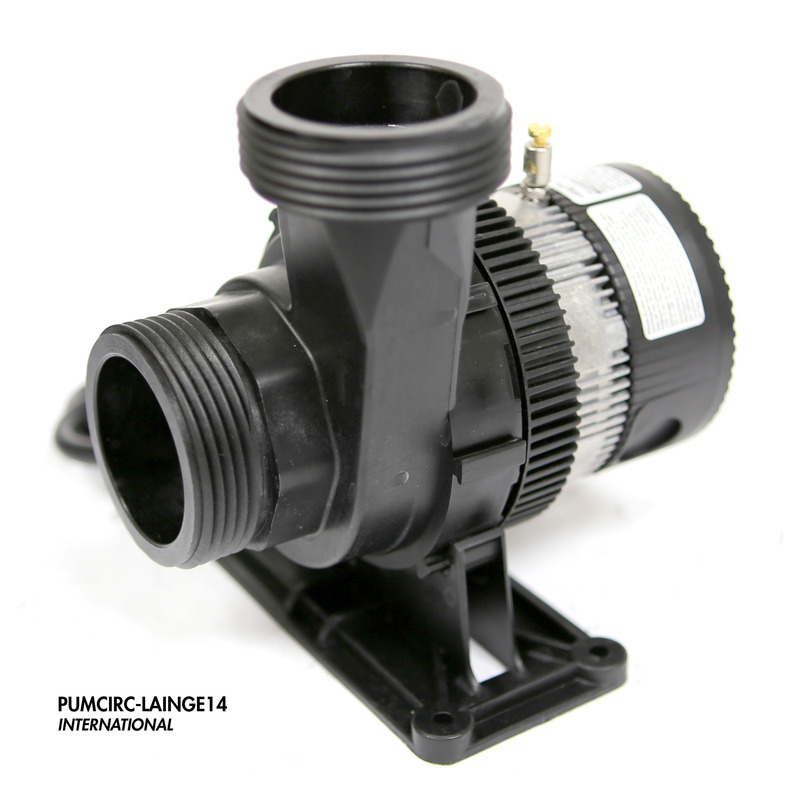 Most spa pumps use either 1.5” or 2” plumbing fittings and a few have 2.5” intake suction. These are pipe call-out sizes, not fitting measurements. 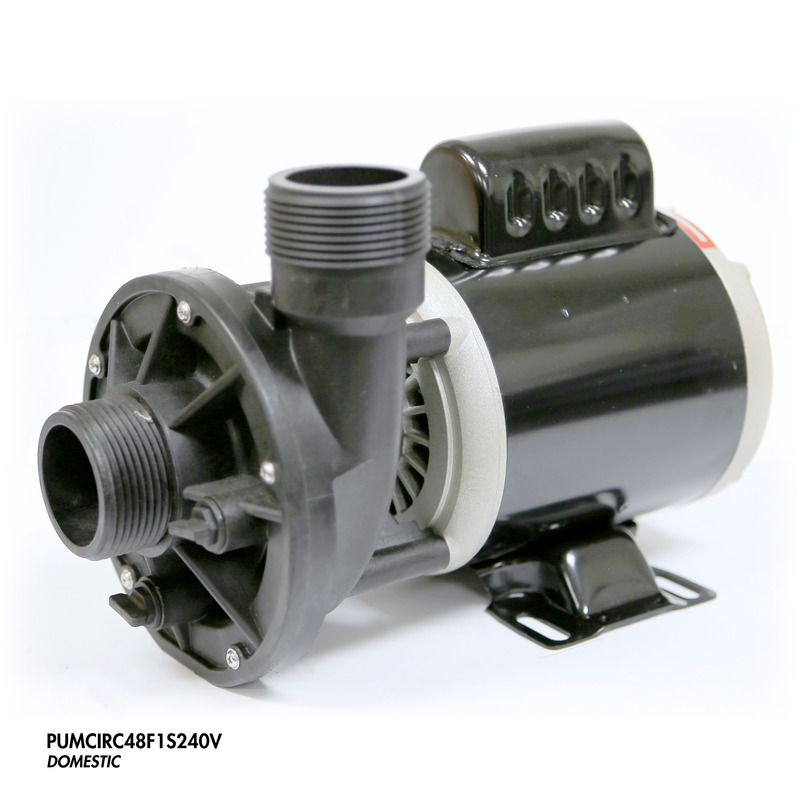 Spa circulation pumps (or circ pumps), are smaller than main pumps but they have to be diligent because they keep the water moving in your spa 24/7, this provides continuous filtration and helps keep crystal clear spa water. Refer to the wiring diagram on your pump, as some equipment systems use different color coding. 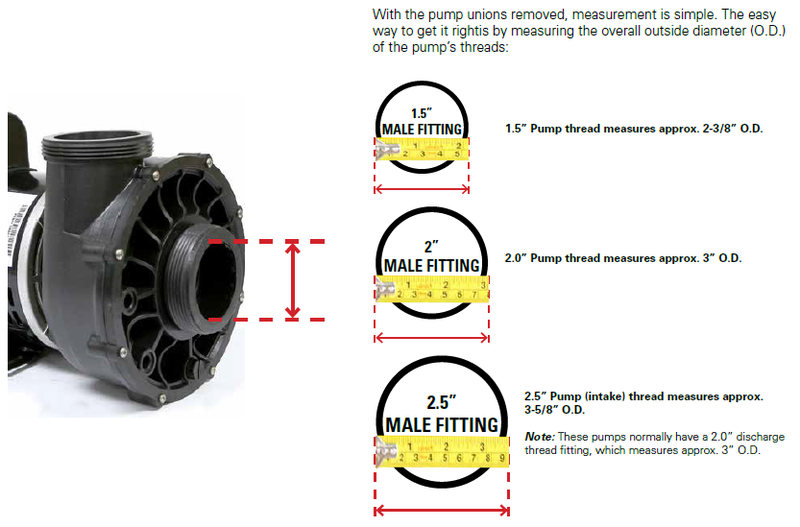 Wire orientation may vary on different pump brands. One Speed Pump Configuration: A 2-speed spa pump can serve single-speed duty by using only the common and high speed terminal connections, while leaving the low speed terminal blank. *If your spa filtration or heating cycle comes on with high speed instead of low speed, this indicates that the high and low speed wires need to be switched. 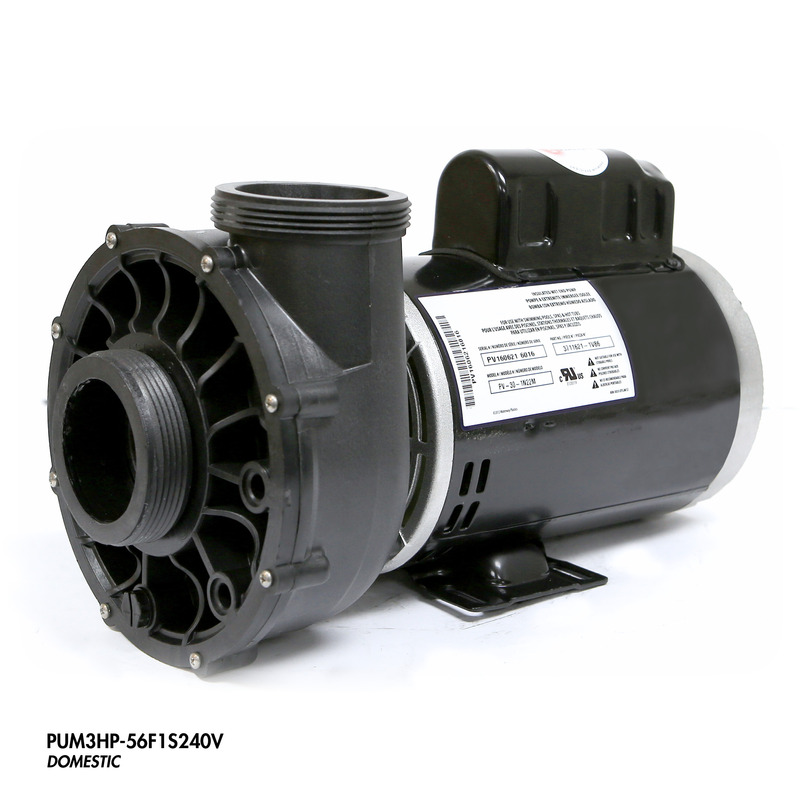 All 110-120V spas use 120V pumps, however not all spas wired for 220-240V use 240V pumps, some use 120V pumps. Read your spa’s owner's manual, and look at the label on the old pump to determine the appropriate voltage and BHP (break horse power). The label on your old pump should also indicate the horsepower and amps required. 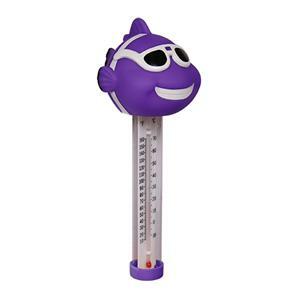 Standard (US) household voltage varies between 110 and 120 volts. Larger appliances required 240 volts to function. Spa motors will be designed for one of these two ranges, but keep in mind that a voltage specification of 115 volts actually means that it is designed to function correctly in the range of 110 to 120 volts; a device which specifies 230 volts actually means it will function correctly in the range of 220 to 240 volts. Watts = Amps x Volts. Amperage determines the size of wiring and circuit breaker/GFCI required, and is also a factor in what your equipment controls will accommodate. Wattage is the total amount of power consumed. Note that a 120 volt pump drawing 16 amps uses virtually the same amount of power (wattage) as a 240 volt pump drawing 8 amps. 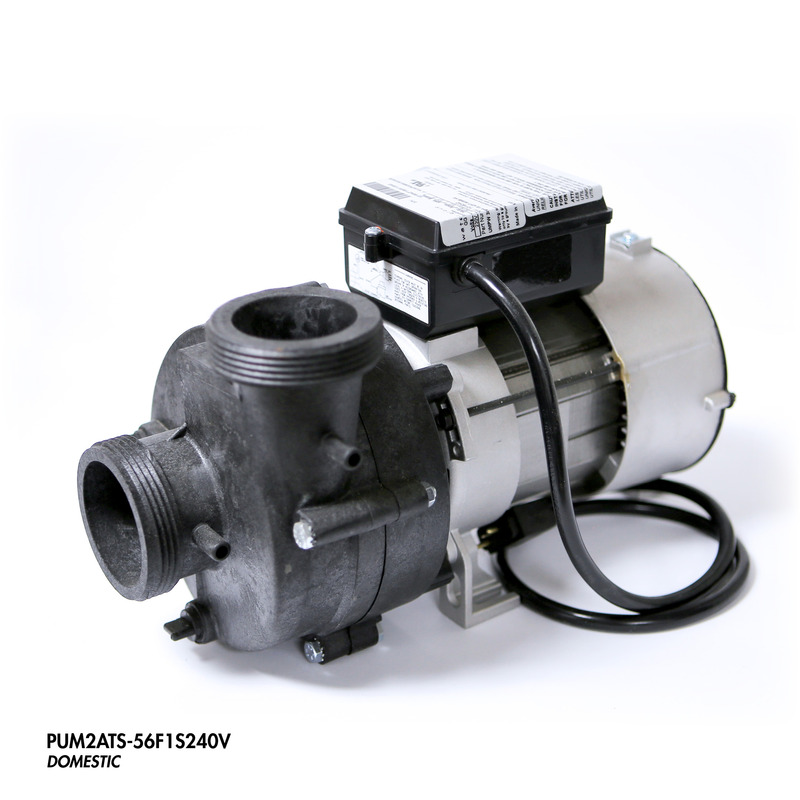 Spa pumps are available in two different frequency configurations: 50hz and 60hz. In North America, the line frequency is 60 HZ. In Europe and elsewhere around the world it is 50 HZ. Some Island nations also use 60 HZ. It is important to order a replacement pump with the correct voltage and line frequency for the country the spa will be operated in. 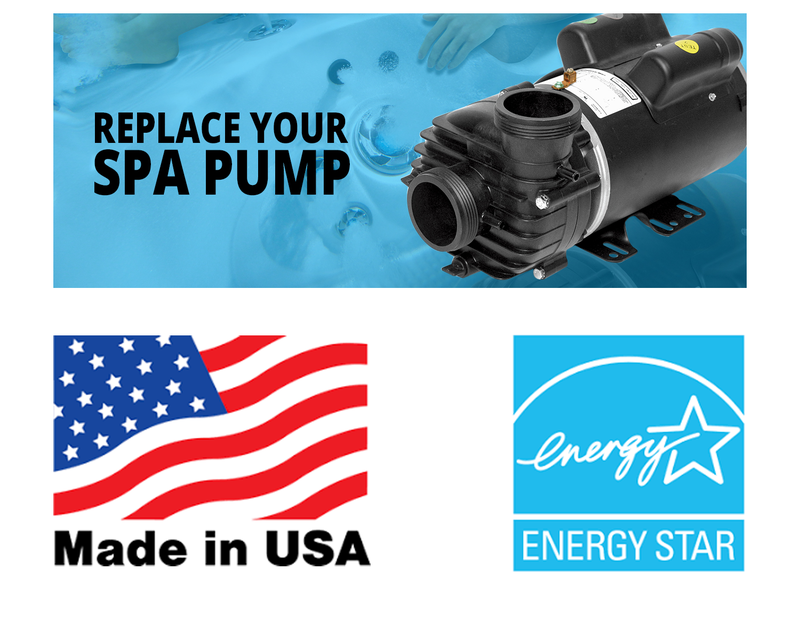 In general for North Americans, 60 HZ pumps will be required as a replacement spa pump for spas in North America. 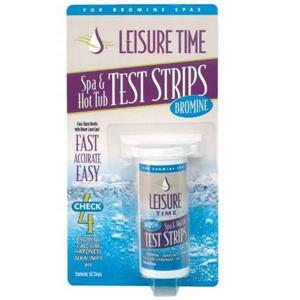 Please verify your current spa pump before ordering!